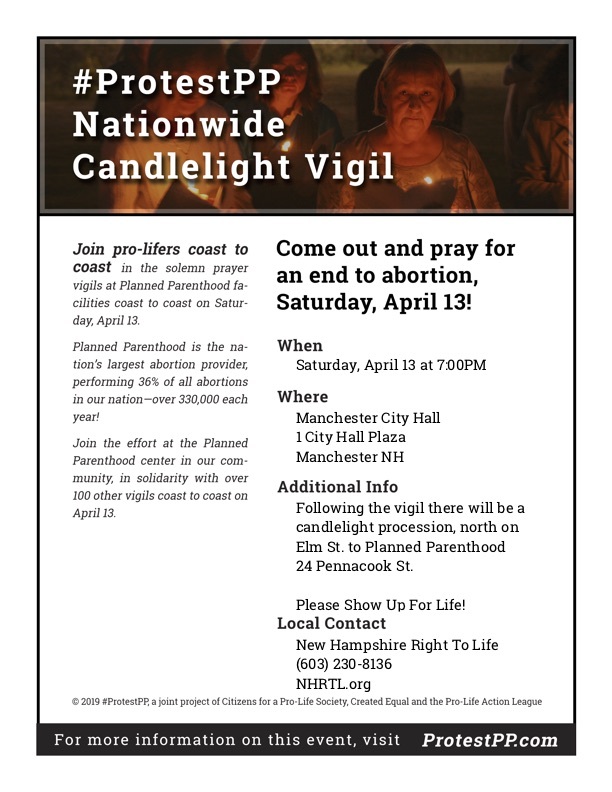 Join pro-lifers coast to coast in the solemn prayer vigils at Planned Parenthood facilities on Saturday, April 13. Planned Parenthood is the nation’s largest abortion provider, performing 36% of all abortions in America – over 330,000 each year! Here in Manchester, the vigil will take place at Manchester City Hall at 7pm. Following the vigil there will be a candlelight procession north on Elm Street to Planned Parenthood on Pennacook Street.